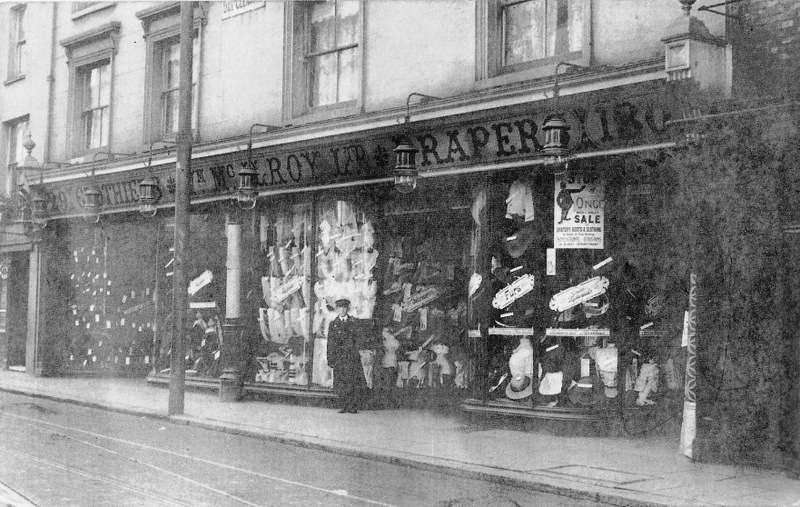 Janet McNamara provided the following images, which show 129 and 130 High Street, a long-standing drapers (over 200 years) that occupied 50 feet of High Street frontage in New Brentford, just to the west of Market Place. 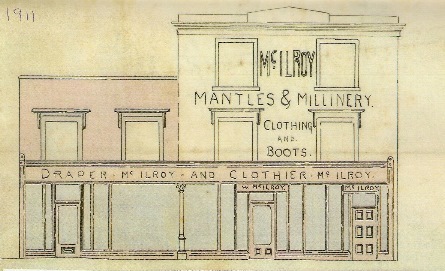 W. McIlroy Limited had taken over by 1907 and within a few years modernised the shop frontage. The first image shows the plans drawn up in 1911, presumably the frontage as it was then. The 1907 street directory records the clothiers at number 129 (the left part of the building) and number 130 as drapers. The plans also show that originally number 129 was a two-storey building whereas number 130 had three floors. 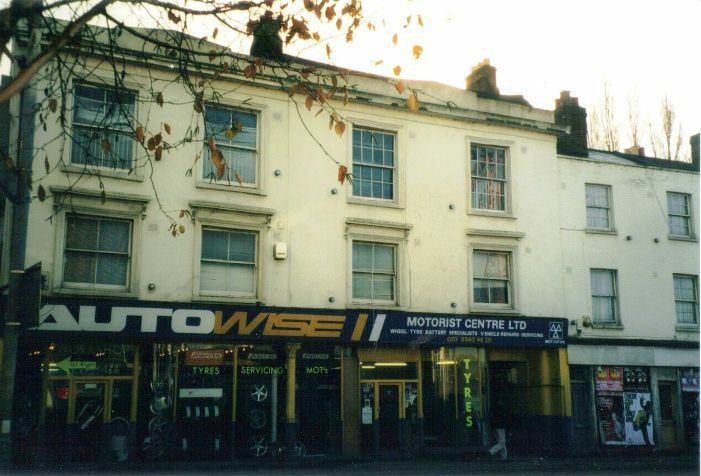 The second photo shows the frontage in the 1980s and shows a symmetrical building of three floors, with three entrances that match those in the 1911 plans. The third image is a postcard featuring the new frontage of McIlroy’s three-storey building. Note the uniformed doorman ready to greet and assist shoppers. The windows are stuffed with merchandise: in the windows of no. 130 a sign advertises a sale: 'sensational bargains in every department' and there are signs for 'Underwear','Furs' and 'Dress Materials'. Part of a 'Dry Cleaning' sign is visible higher up. This photo, also taken by Janet, shows the tiled entrance in the early 2000s. 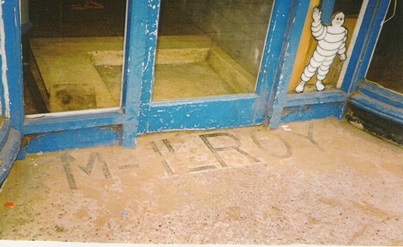 The 1910/11 valuation refers to the 'terrazzo flooring to entrances' and the name McIlroy is still visible. The final photo from Janet shows numbers 129 and 130 in 2002, number 131 is the lower building to the right. Read more about the history of this property and others in the area. 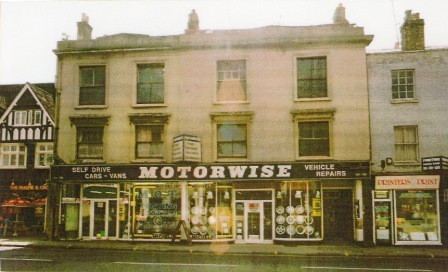 Janet added in April 2018: The old McIlroy/Autowise building is listed and is a charity shop. The organisation is called Cathja and started with a barge on the river in Isleworth that was used as a meeting place and workshop; I think it’s still there but the coffee bar in the shop seems to do good business.